Hi there everyone, hope your all having a great weekend! I recently began to watch the CW's new series Reign and OMG am I in love! It has drama, love, history, and amazing fashion, this show is right up my ally! The show follows Mary (Adelaide Kane) Queen of Scots and it focuses on her engagement to Francis the future King of France. The writing for the show is amazing (in my opinion), its also rather scandalous. If you haven't watched it yet, I completely recommend you do. It's a combination of Gossip Girl meets Game of Throne which is AMAZING cause I love both those shows too. Headbands: 1, 2, 3, 4. Waist Belts: 1, 2, 3, 4. Crown Headbands: 1, 2, 3, 4. So lately I have found myself adding small Reign inspired accents to my outfits. So I did some digging and found some pieces that are modern/16th century inspired. The girls are always wearing these amazing headpieces that I just wish I could grab off the screen. They just make everything look so much more 16th century (whatever that means, lol). I found myself styling my hair as if I was a member of the Reign cast (only in my dreams). But I loved the look and will definitely be looking to add more head pieces to my wardrobe. Besides the amazing headpieces, every time I watch an episode I am just drooling over the gowns. I noticed that Mary and her ladies in waiting are always wearing flowy chiffon gowns, with amazing embroidery detail or some beautiful lace embellishments (who doesn't love them some lace?!). 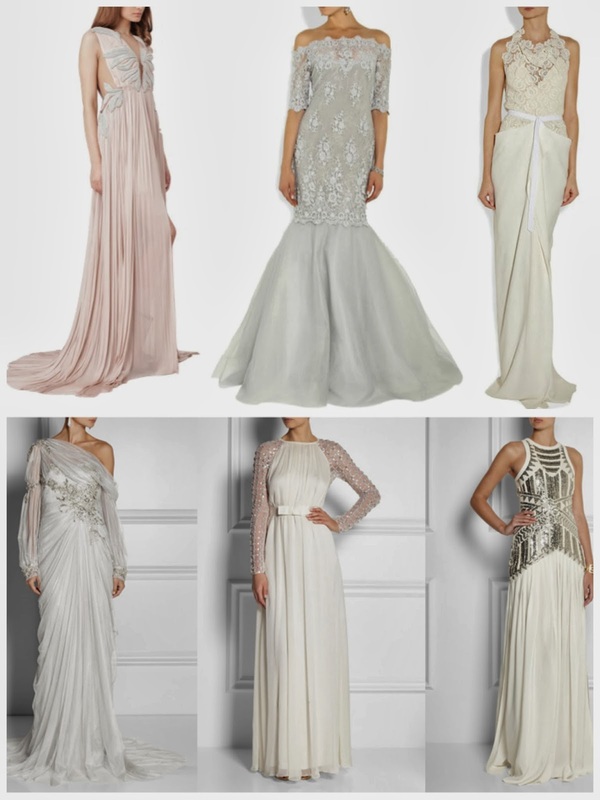 Now I would love to add these gowns to my wardrobe but sadly I don't attend enough glamours event to wear them. But if anyone is willing to through a 16th century themed ball, feel free to add me to guest list! What do you all think of Reign and whats your favorite show for fall? 6 comments on "Fashion Inspiration: Reign"
Thank you so sooo much Julia I am beyond honored!!! So I accidentally deleted a comment while checking my blog from my phone from Julia Claire, who nominated me for the Liebster Award! Here's her comment that I recovered from e-mail! Thank you soo much Julia, I am honored!!! You are more than welcome! you are so sweet! And thank you for re-posting my comment, I hope that you will do a post like mine and nominate other up and coming bloggers. These items are wonderful !!! Thank you so much, glad you enjoyed!